For those looking to freshen up their existing factory XR alternator, but until now didnt know how to bring the new like plated luster of the pulleys and cooling fan. 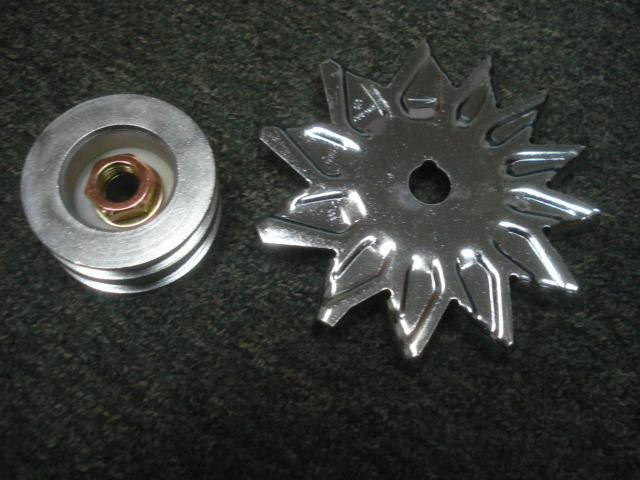 This kit comes with the following re-zinced bits: Cooling fan, dual pulley, washer and securing nut. Will need your removed units sent back for restoration rotation. Show points await you with this kit!